At Richardsons Leisure Limited our team are employed in a variety of positions with 44% (113 out of 254) of relevant employees employed on a fixed term basis on the snapshot date of 5 April 2018. The gender pay gap is influenced by the under representation of females in manual positions which require skills, qualifications or previous training. have historically attracted males. This increases the average pay for males at Richardsons Leisure Limited resulting in the mean gender pay gap of 23%. encourage females into our workplace which is currently dominated by males within skilled manual roles. We have also built a relationship with a local education and training provider from which we have two students ongoingly attending weekly work experience, one of whom is female. Bonuses paid relate to birthdays and long service payments made on employment anniversary, every 5 years. Influences within this calculation are dependant on when an employee starts and leaves employment. 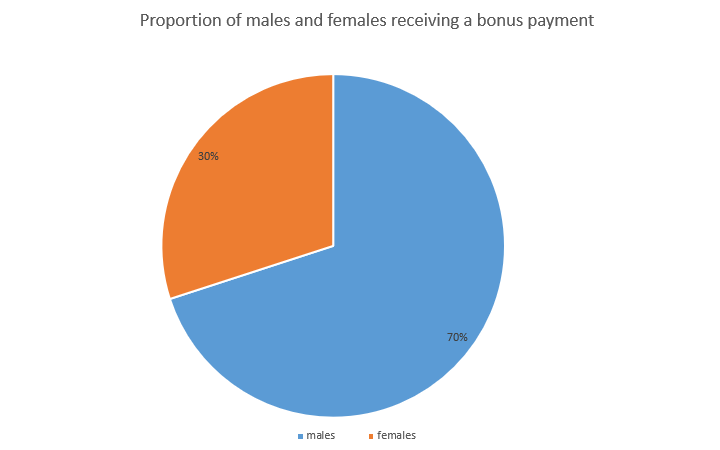 To summarise, from 108 employees who were not employed for their birthday in the relevant bonus period, 69% were females and 31% were males which is reflected in the proportion of employees who were employed as at 5 April 2018 being paid a bonus in the relevant bonus period 6 April 2017 to 5 April 2018.